G-Force P35 Full Safety Harness. Back and chest attachment points with metal buckles giving this harness flexibilty of attachment points. Adjustable in both upper and lower body. Comfortable harness to wear and Simple to put on Because of the different colours of the upper and lower body.  Suitable for fall protection and work positioning. G-Force harnesses are the first choice for many leading PPE and rental companies. The guided fall arrest grab in the event of a fall will automatically grip to the rope which will prevent a fall. The rope grab has a gate making it easy to fit and remove the grab from the kermantle rope and is also fitted with a small shock absorber and a safety snap hook at the other end to attach to the harness. G-Force AZ410 Wire Rope Lanyard with PVC cover protection. G-Force Fall Protection are the first choice for many leading PPE and rental companies.